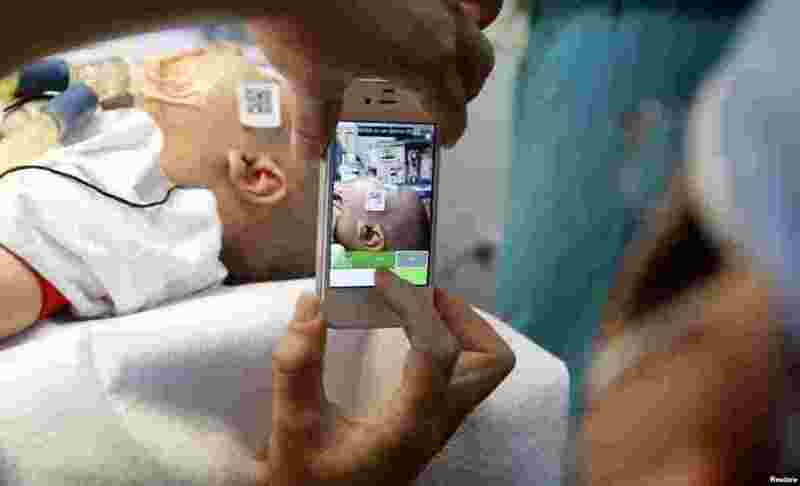 ١ A doctor uses a smartphone to take a photo of a child with facial deformity before surgery at the Vietnam Cuba hospital in Hanoi. 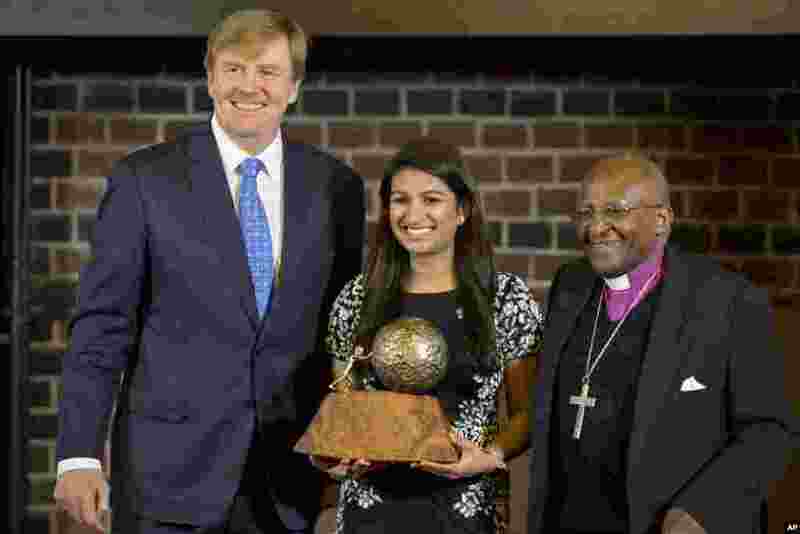 ٢ Eighteen-year-old American Neha Gupta poses with Dutch King Willem Alexander (l) after receiving the KidsRights Children's Peace Prize from South African Archbishop Emeritus Desmond Tutu (r) in The Hague, Netherlands. 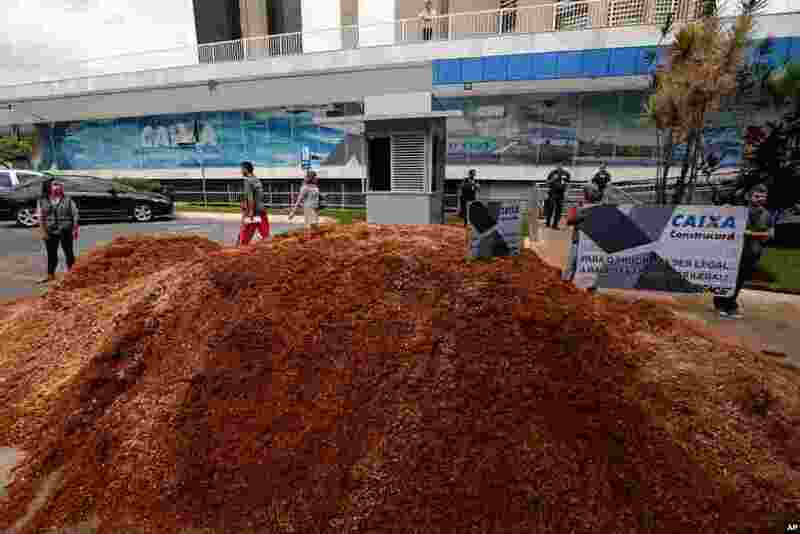 ٣ Greenpeace activists dumped a load of sawdust in front of the Caixa Economica Federal Bank headquarters, to protest illegal logging, in Brasilia, Brazil. Greenpeace accuses the bank of financing illegal logging activities in the Amazon. 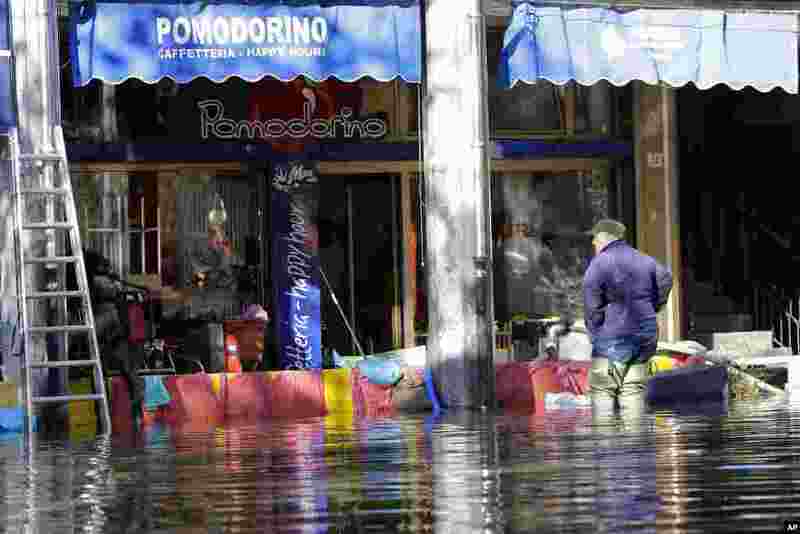 ٤ A man stops in front of a Coffee Shop along a flooded street after heavy rains hit northern Italy for the last few days in Omegna, Italy.